It's official!! Wish us luck! 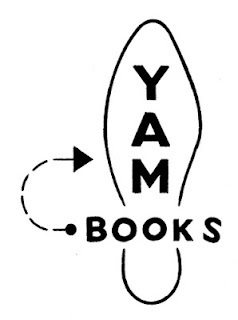 Oakland, CA May 8, 2012 – The cold, stark winter months are now past, and with spring’s arrival we celebrate the bloom of Yam Books, Bay Area–based small-press publisher of art books and comics. Stemming from a deep-rooted desire to see more work by inspiring and visionary creators, Yam Books’ mission is to showcase a rich cornucopia of art and comics just waiting to burst forth. Yam Books will be releasing two exciting projects this year. 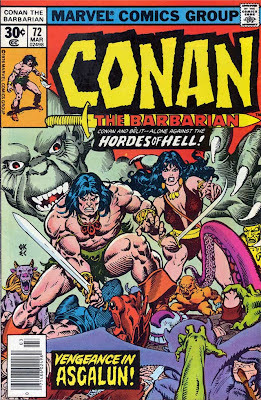 This Saturday is FREEEEEE Comic Book Day! So go to your friendly neighborhood comics store, and get some free comics as well as BUY some comics to help our industry out! 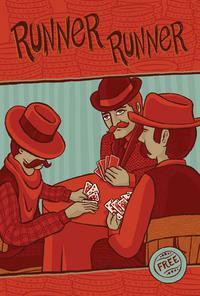 As a part of this wonderful holiday, the ever amazing Tugboat Press, Mr. Greg Means, has published a free comic called Runner, Runner which includes drawings and stories from some of my favorite cartoonists. I also contributed a one-pager that was drawn entirely with a dip pen!!! For SF/Bay Area peeps, it will be available at Escapist Books in Berkeley! So, go comics and go Tugboat Press! More info on the comic below!